Why are there square craters forming on the Moon? The moon is full of craters both large and small, but typically they come in only one shape: round. So why are scientists spotting square craters on the moon? The folks over at NASA's Lunar Reconnaissance Orbiter Camera explained just what's behind the phenomenon. Typically, when an object collides with the moon, the shock wave from that collision is distributed equally around it in a round pattern. If all collisions were on ground that was equally solid, this is the shape we would always see. But, sometimes an object happens to collide with areas of the ground where there's already an existing network of faults, and when a collision happens on that precise point, its force is no longer equally distributed. Instead, the direction of the shock wave is influenced by the faults, creating the square pattern like you see in the picture below of crater Lavoisier A on the Moon. 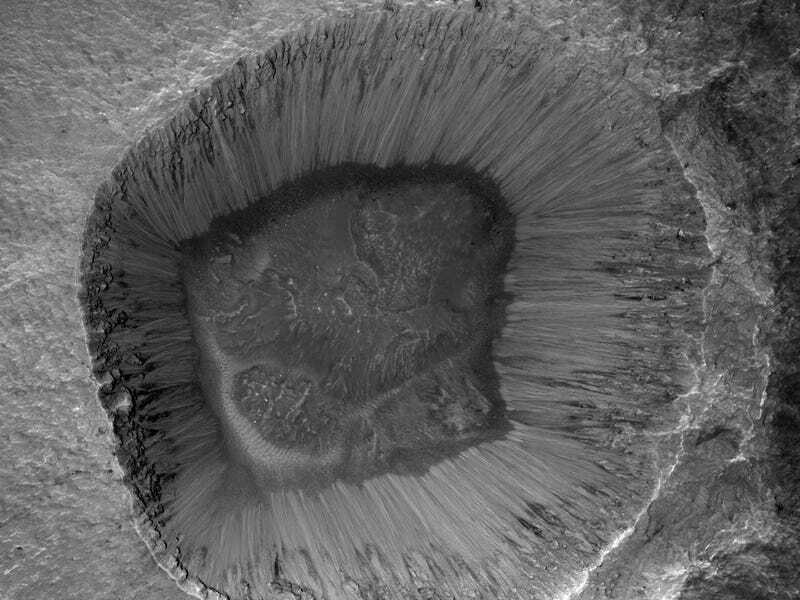 What's more, this phenomenon can also be seen on other planets, like the picture of the crater on Mars on top, on asteroids, and even closer to home — like in Arizona's 80-foot Meteor Crater.